Kiersten Day hates all things Texan—including and especially one CJ Howell. The cattle rancher gone real estate mogul has set his sights on her tiny Colorado ranch, trying every dirty trick in the book to make her sell. When his manager stoops to threatening her, Kiersten prepares for the fight of her life. 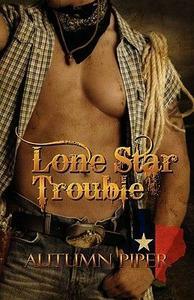 Enter Cleve: tall, handsome good-guy, who she falls flat on her Texas-hating face for. The problem? Cleve is Howell’s son, and doesn’t believe his father is behind all the sinister things happening to her. How could he be the offspring of the monster she’s been battling? Cleve never imagined love could be so complicated. Of all the girls he could fall for, it had to be one bent on hating men. Kiersten is the only person who’s ever stood up to his father’s Texan guerrilla business tactics—and won! She’s possibly pregnant, oblivious to her best friend mooning over her, determined to keep the family ranch despite increasing threats, and the prettiest little thing he’s laid eyes on. It just couldn’t be easy, could it? Content Warning: A hot cowboy, an overprotective grandpa, a meddling BFF with his own love-life troubles, a woman set to win the battle no matter the cost, and frequent use of cowboy four-letter “French” words.